I have been a fan of Mary Claire's art for a long time now. 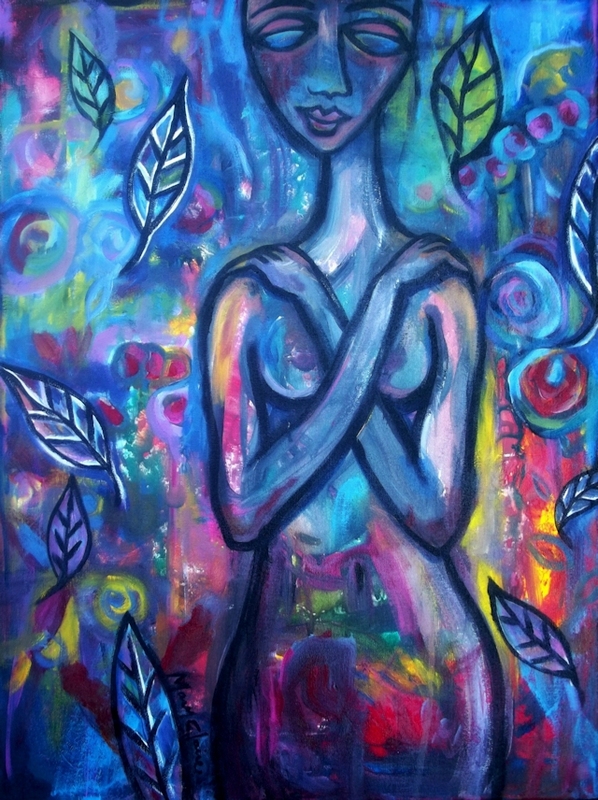 I find her soulful style and feminine themes to be uplifting and healing. So when she agreed to do this interview, of course I was thrilled. I had a feeling her answers to my questions would be as inspiring as her art and I was not disappointed. I'm happy to share both with you below. Enjoy! Mary Claire: The six words I would use to describe my art.......playful, simple, expressive, colorful, reflective, and intuitive. 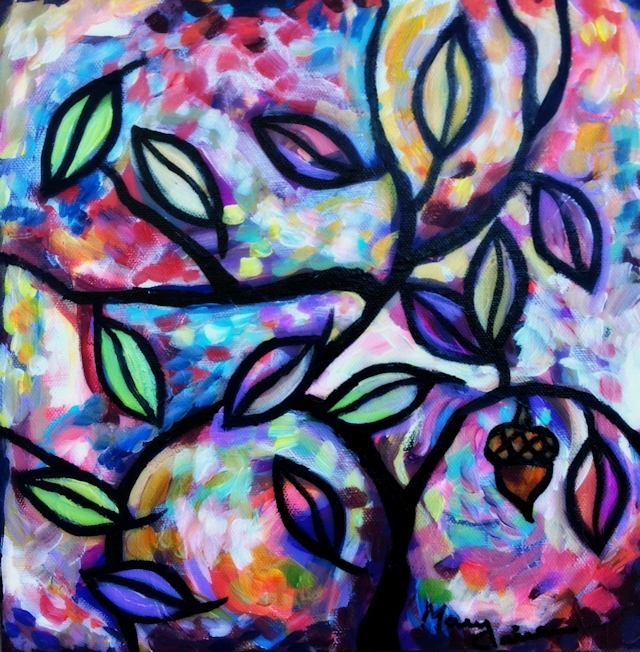 Mary Claire: Marc Chagall is one of my favorite artists and has definitely been an influence on my art. 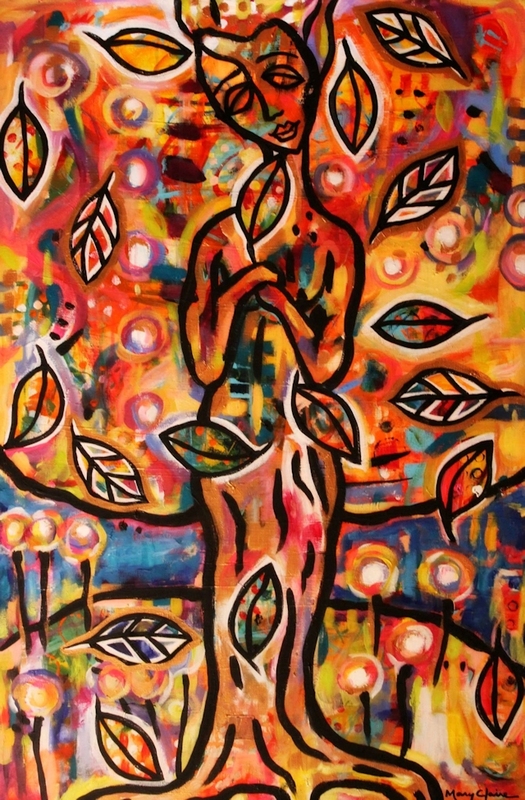 I love his symbolic figurative work, his surprising use of color; the scenes in his paintings coming from memories and dreams; all of these aspects in his art really speak to me. I find his style unique and interesting; especially for his time. I love the fact that he delved into many mediums to create art including mosaics and work on tapestry. Mary Claire: Inspiration to create initially came from within for me, it has always been an urge or a calling. Drawing as a child gave me something quiet and productive to do, and being an extremely shy child, it gave me confidence I really needed. I would turn to art growing up and it became a great expressive outlet throughout my life. And now I find the things that inspire me are very different from when I was a child yet I strive to keep the childlike quality in my paintings. I find inspiration in all of my life experiences, the people I have known my whole life, people I've recently met, and even people I've never met. I enjoy using my imagination to capture a feeling or a character. I'm inspired by walks in nature, books, strong women, quotes, looking at paintings in a museum or gallery, or just being around other artists. Mary Claire: I really get into and enjoy my creative process, but I would have to say being fully satisfied with the outcome is my favorite part of it, with the ultimate goal being making someone else happy with it. As far as the actual art making process itself, I usually approach each painting differently over time. With the nature of the type of work I do being very forgiving, there is room for growth, happy accidents, and experimentation. I pick up new methods and techniques by taking classes or from books or online, but ultimately developed my own style by doing a ton of work, struggling with the bad, and keeping the good for the next one. Mary Claire: The most challenging part of the creative process for me is living a balanced life alongside the constant need to create. I work on overcoming this by infusing a little more discipline and organization into my day, paying more attention to my health and well being, a lot of family time, more time unplugged and less time on the computer. In turn, this has helped me use more restraint in my art (number of pieces, color choices, not staying up late making art), and I believe these changes have and will help me mature and evolve as an artist. 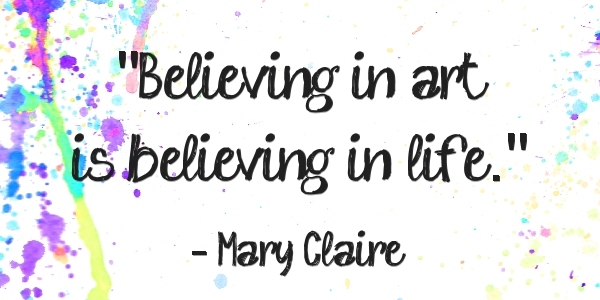 Mary Claire: Believing in art means believing in freedom; the freedom of expression available to all of us in so many forms. Believing in art is believing in life. Thank you Mary Claire for this enlightening glimpse into your creative life! 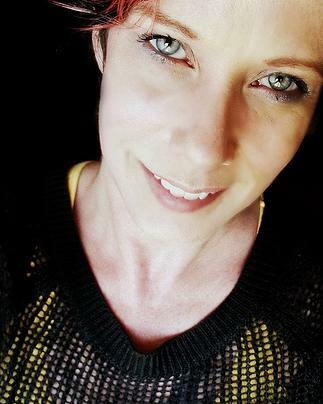 You can also connect with Mary Claire on Facebook and Twitter. Thank you, Victoria, for sharing Mary Claire! This was delicious! Thanks for reading, Paige. Glad you enjoyed it! 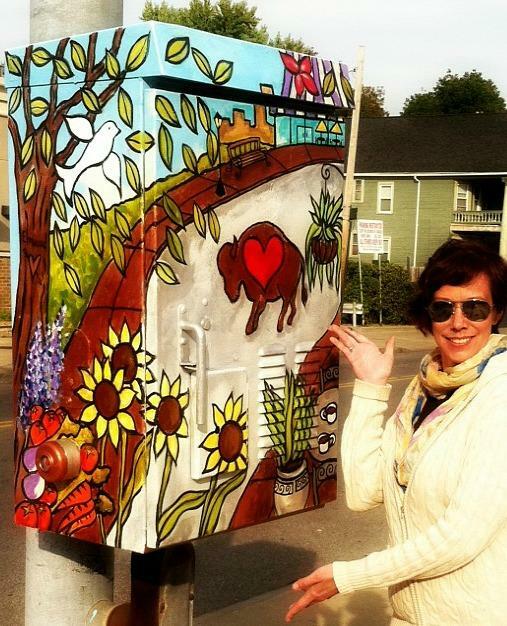 Mary Claire's artwork is wonderfully vibrant & energetic. Thank you for sharing, Victoria & Mary Claire! 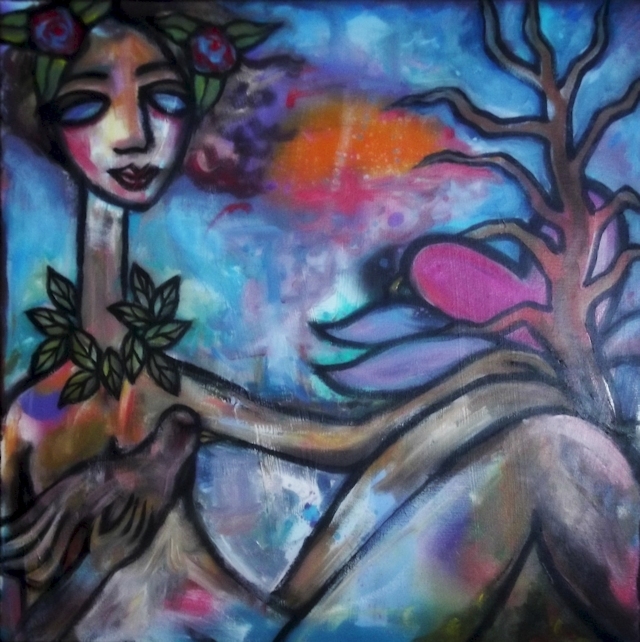 Energetic is a great word for Mary Claire's work. Thanks so much for stopping by and catching up! Hope you're doing well.